The Bayshore Diplomat offers convenience, a full range of amenities and spectacular views of Hillsborough Bay. It is renowned for superior service and security, distinctly earning its reputation for excellence with a view. With an incredible view, Bayshore Diplomat offers 24-hour security, concierge services, a clubhouse and large party room. The facility also has tennis courts, a playground, pool and sauna. Imagine panoramic views of Downtown, Tampa Bay and the Islands. Bayshore Boulevard is at your doorstep, perfect for leisurely strolls or a run along Tampa Bay's waterfront. Bayshore Diplomat is located on Bayshore Blvd. between Old Hyde Park and downtown Tampa. One, two and three-bedroom units are available for purchase and to rent. 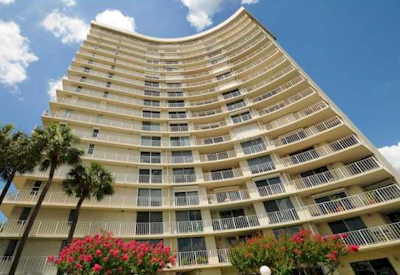 All units have walk-in closets, inside laundry facilities, and a balcony, deck or patio. Come experience the Florida Lifestyle in Tampa with the nearby sparkling beaches of Clearwater Beach and just a little bit to the south is St. Pete Beach. It is a just short drive to I-275 and then it is an easy commute to Clearwater, Bradenton and St. Petersburg.